Here's a Toast to the Veterans we miss. Here's to the Veterans that serve. Here's to the spouses and families that wait for their safe return. Hello. Carol Baxter chiming in this Memorial Day in the United States. My dad is holding a photo of my "Popa", Lt. Cmdr. Jarvis Ramsay Jennings, Sr. I think this picture was take while Grandma waited with relatives in South Dakota for her sailor to come home. As I recall, Grandma waited 5 months for a letter from her Navy man while the sub was being towed from sea to Casablanca and from there to England~ it was such a huge secret. 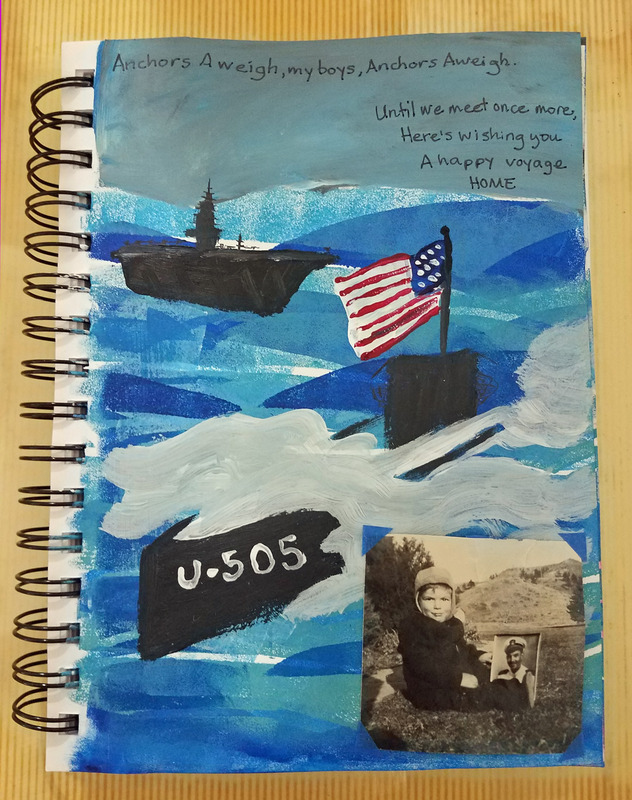 Many years later, two of Popa's fondest memories were Navy reunions in Chicago where where he not only reconnected with his buddies, but the US sailors were able to return items they had taken from the submarine to some of the German sailors. A beautiful tribute! My late father, also, served in the US Navy during WW II. So fitting to honor our country's heroes today!